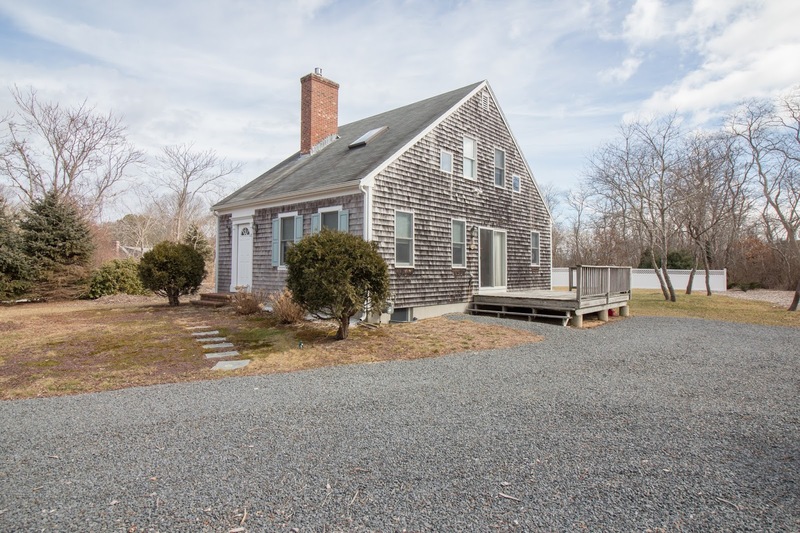 EASTHAM - An immaculate 4 bedroom, 2 bath home in South Eastham, close to Fort Hill. This home has been totally remodeled over the last few years, making it a delight to see and a joy to live in. Hardwood floors, a granite kitchen, upstairs laundry, living room with a gas fireplace and lots of wonderful built-ins, and (drum-roll) a completely separate in-law apartment, with its own entrance. This apartment can be configured as a 1 bedroom or a 2 bedroom unit depending on Mom's needs. Check out the YouTube video walkthrough and see for yourself. Can you find the small dog? Check out the listing, with lots of professional photos ... Here. EASTHAM - Coming Soon - This is a 1997 classic half-Cape with 3 good-sized bedrooms and 2 full baths. Nice and clean and ready for your family's enjoyment. Hardwood floors, natural gas fireplace, full basement, on a large private half acre property. Dream Here! My March Real Estate Newsletter Is Available Now! My March 2018 newsletter is available for download. This issue has Part 2 of my year-end 2017 market report which summarizes Eastham's neighboring towns. Also in this newsletter is are articles on 3 new 'Coming Soon' listings, my HGTV debut in 2008, and a Seller testimonial. It also contains a link to my forth video newsletter. 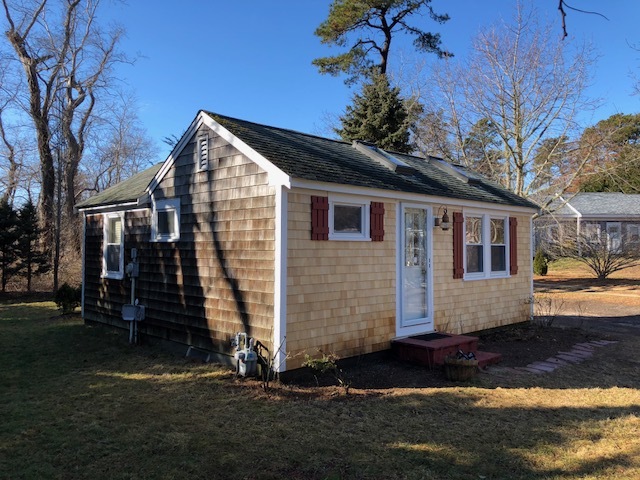 EASTHAM - Coming Soon New Listing - Super cute, turn-key, completely remodeled, inside and out, 1 bedroom cottage, with a new deck, storage loft, skylights, and a vaulted ceiling. In addition, we have a newer refrigerator, and newer furnishings and bedding. Outdoor shower. Town Water. This can be your Cape get-away and is ready for summer. WHAT I LOVE ABOUT THE HOME - This is a lovely condo unit that provides a comfortable get-away from our normally busy world, all wrapped in a carefree, fully furnished package in one of the premier vacation destinations on the East Coast. Nice! This listing will be posted on the MLS on March 1st, 2018. Showings will not be permitted until then. For more information, photos, etc, go Here. New Listing - 3 Bedroom Lot - Great Location! 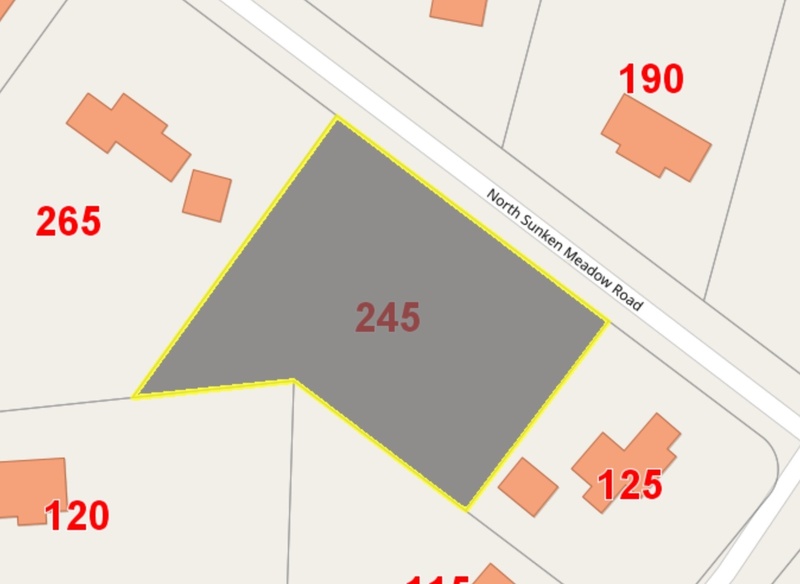 EASTHAM - New Listing - Level 3 bedroom building lot just a short distance to Bay beaches. This lot is on a public road and is among nicer homes. This is an ideal location for your larger 3 or 4 bedroom (4 bedrooms with an alternative septic system) dream home. The address is 245 No. Sunken Meadow Rd. Go See! #EasthamDreamHere Here is the February 1st snapshot of the Eastham real estate market (single family homes). Sales for January were far above January 2017's sales. Inventory levels continue to be lower than we've seen in recent years. I'm hoping inventories pick up such that we can have another really good year. (Click on table to enlarge it for easier reading).